Do You Wanna Smoke With Me? 16. Hey! Hello! / Hey! Hello! Too! 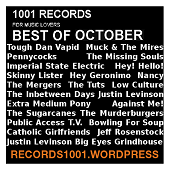 This entry was posted in Best October 2016, Mixtapes and tagged Against Me!, Big Eyes, Bowling For Soup, Catholic Girlfriends, Dan Vapid, Extra Medium Pony, Grindhouse, Hey Geronimo, Hey! Hello!, Imperial State Electric, Inbetween Days, Jeff Rosenstock, Justin Levinson, Low Culture, Mergers, Mires, Missing Souls, Muck, Murderburgers, Nancy, Pennycocks, Public Access T.V., Skinny Lister, Sugarcanes, Tough, Tuts by records1001. Bookmark the permalink.